The season 35 draft class brought in tons of talent at many positions; perhaps most notably at the QB Position. We're now 2 years removed and had plenty of opportunity to see what these players bring to their teams as well as what to expect moving forward. In this article we'll be revisiting the top 5 QBs from the draft. With Blake Bortles out the picture in Jacksonville, the team began their search for a true franchise QB to help continue their momentum after an 11-5 season and a victory in the playoffs. The Jags selected QB Benjamin Paradise with the 8th selection in the 1st round. The rookie QB was immediately thrown into the starting position, and quickly built a rapport with offensive weapons WR D.J. Clark Jr. and TE George Kittle towards a 10-6 season. "We drafted him because we knew that he could be the franchise QB. His rookie year was a bit rough but both sides were getting used to each other. This year he had a great season, but our defense really let us down a lot. He did have some injuries but he is also constantly under fire. We really do believe in him and after this year with 32 TDs and 17 INTs we believe that it can only get better from here." Paradis built on his impressive rookie season in his 2nd season in nearly every category even with time missed due to injury. The Jaguars will need to improve at protecting their franchise QB, but we agree that Pardadis' future looks very promising. 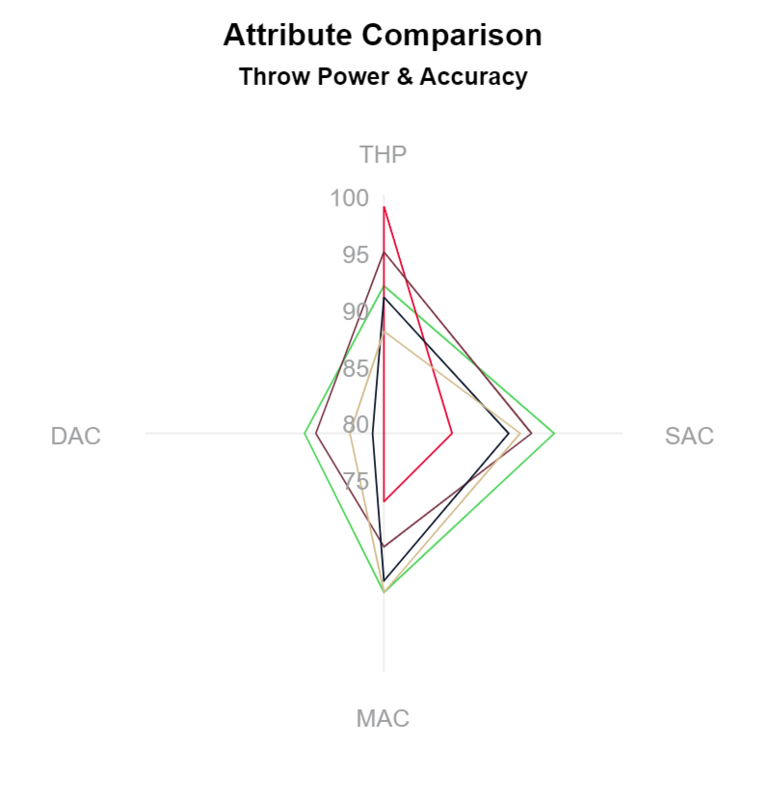 While he does not have the strongest arm from the draft class, Paradis certainly has the greatest potential to be accurate with the football. QB Jorge Romero was the first QB selected in the draft, and for good reason. Romero showed through his collegiate career that he had the necessary skills to become a starting QB in the MBL. Unfortunately, Romero's impressive resume did not translate over to a dysfunctional Bills franchise. Jorge got the nod in the 2020 season as the Bills starting QB, but his poor play and inability to avoid sacks dissipated any trust the organization had in their 1st round selection. The Bills decided to move on from Jorge in 2021 after going 1-17 as a starter. somewhere else to prove himself cause he probably won’t be a bill next season"
Jorge Romero is obviously the biggest bust of this QB draft class through the first 2 years, but there will likely be a team in FA willing to give him another shot and hopefully rebound his career. Redskins fans have had to endure mediocrity over the last several seasons. However, QB Allen Richie is one of the biggest bright spots of the franchise. Since entering the league, he has performed on pace with the top QBs from this draft class and most of the veteran QBs in the league. 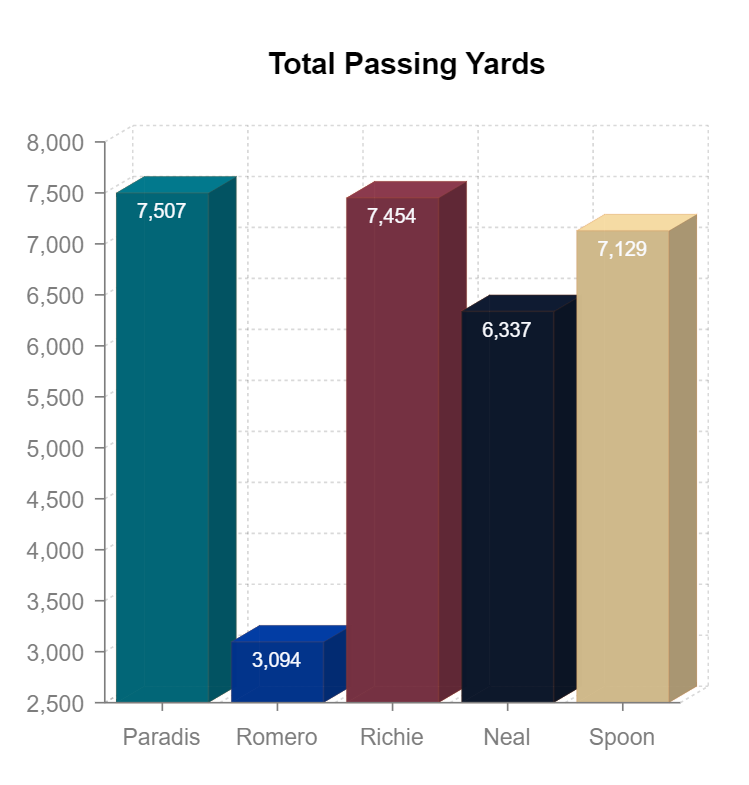 Richie and Washington are mostly victims of a very competitive NFC East. We believe he has the ability to give the team the competitive edge if the front office manages to put the necessary pieces around him. Although, we do not see Allen suddenly producing an MVP worthy season any time soon; perhaps something the Redskins were expecting when they took him 10th overall. in yards both years and hes been extremely productive. as the team grows better, Richie will along with them. He’s our guy." QB Marquise Neal landed in a great situation being selected towards the end of the 1st round by the Chicago Bears. Neal has consistently shown the ability to do what the Chicago Bears ask; win football games. He has helped the franchise achieve 11-5 and 12-4 seasons, and has his eyes set on Superbowl glory as he enters his second playoffs in his early career. We love Marquise. He is poised, tough and deadly accurate. He averaged nearly 80% passing accuracy as a rookie. He scans the field at an elite level. We’ve beaten some of the best teams in the MBL because of him and we’re sure that he is the guy to lead us deep into the playoffs for a Super Bowl run. He’s the man for our Chicago Bears. 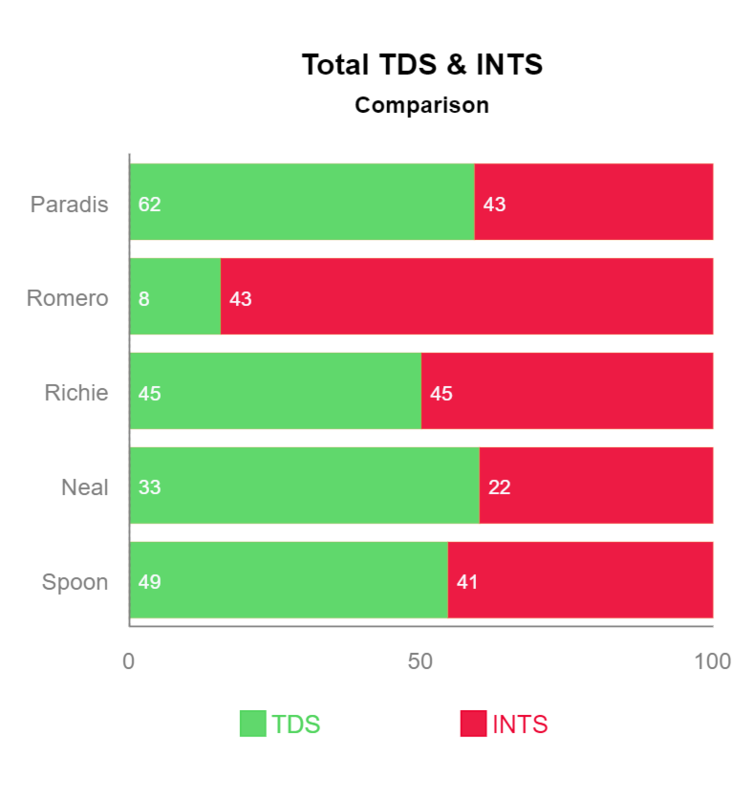 Marquise Neal may not light up the stat board with touchdowns, but his ability to get rid of the ball while being accurate slightly edges him over Paradis in TDS to INTS thrown. Rounding out this list is QB Hansen Spoon. After the retirement of Drew Brees and a year of poor QB production with QB Tyrod Taylor, the Saints landed a QB they can move forward with. His spectacular rookie season earned him NFC Rookie of the Year honors and a 10-6 season followed by an elimination in the playoffs against fellow draft class mate Marquise Neal. Spoon had to battle injury during his sophomore season, but was a big part of the Saints' #1 passing offense and second consecutive 10-6 season in a highly competitive NFC South. Spoon, like most of the other QBs in this top 5, has shown the value of drafting a highly rated rookie QB and should encourage teams looking to turn their franchise around through the draft. Hansen Spoon is a great player. We know franchise QBs are hit or miss and we hit a home run with ours. He has carried our team to 20 wins so far in last two seasons and helped our run game increase to its highest yardage in last 4 years. You cant say enough about the kid. He's destined to bring a ring to NO!